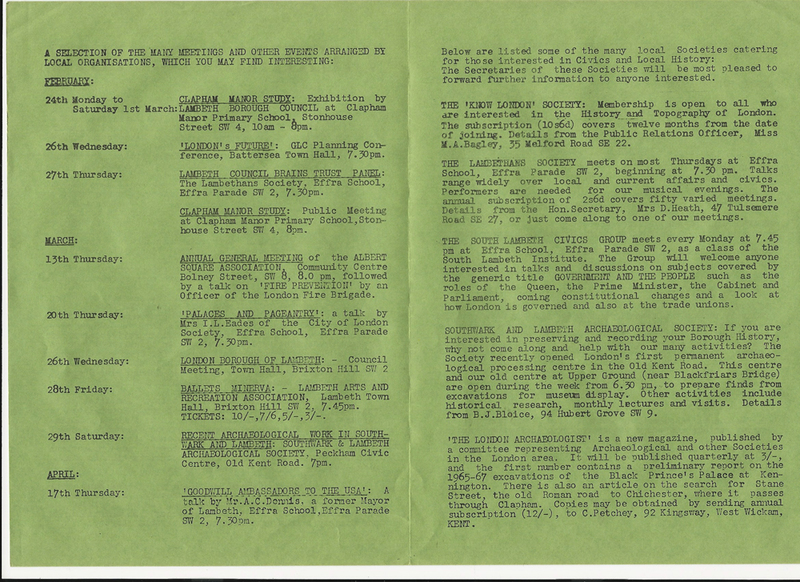 Thus the wordy first issue of The Vauxhall Society Bulletin in April 1969. 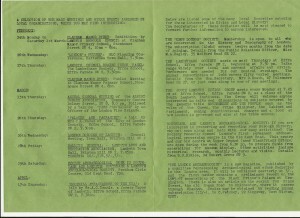 TVS’s remit was to ‘encourage the preservation, development and improvement of features of general public amenity or historic interest’. Four hot potatoes in 1969 Vauxhall were the extension of the Victoria line to Brixton via Vauxhall and Stockwell, the designation of six ‘Conservation Areas’, the ‘imminent introduction of parking control’ and – as ever – the publication of a Lambeth Council ‘comprehensive development plan’ for Vauxhall Cross. 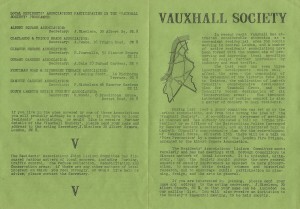 The Vauxhall Society came into being as seven residents associations combined to, among other things, ‘resist further intrusions by industry and road traffic’. 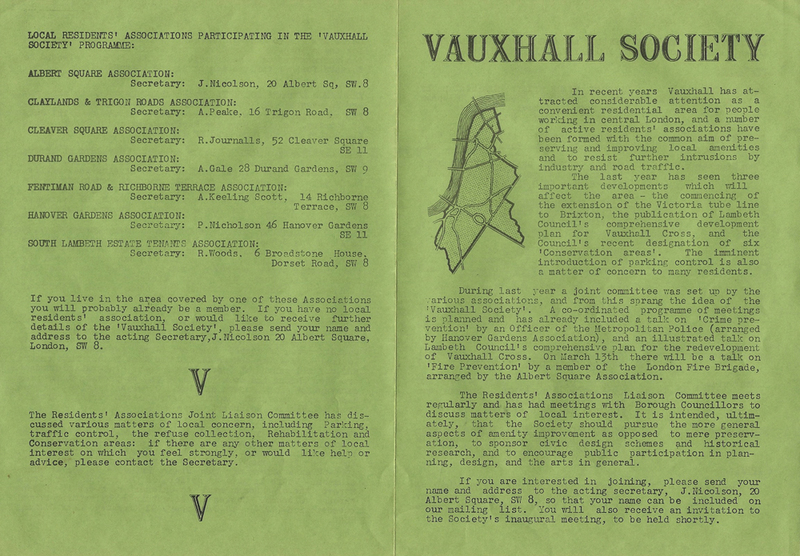 The ‘Vauxhall Society Seven’ residents associations were those of Albert Square, Claylands & Trigon Roads, Cleaver Square, Fentiman Road & Richborne Terrace, Hanover Gardens and the South Lambeth Estate Tenants. 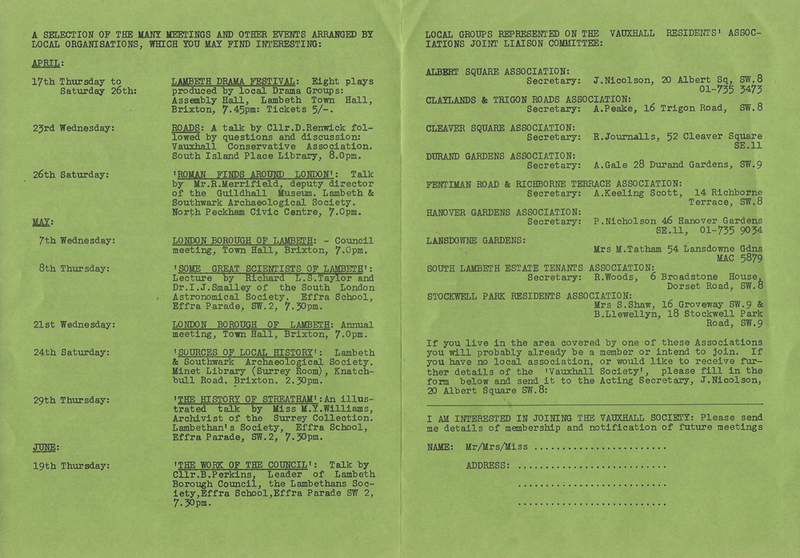 TVS grew out of a committee that brought these associations together and was already meeting Lambeth councillors ‘on matters of ‘local interest’. 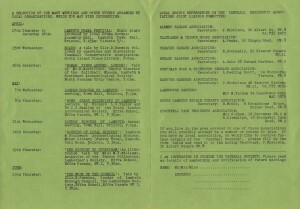 The initial seven member-associations were quickly joined by Landsdowne Gardens and Stockwell Park Residents in a Vauxhall Society that was to ‘pursue the more general aspects of amenity improvement as opposed to mere preservation’, as well as to sponsor historical research and encourage public participation in planning, design and the arts. 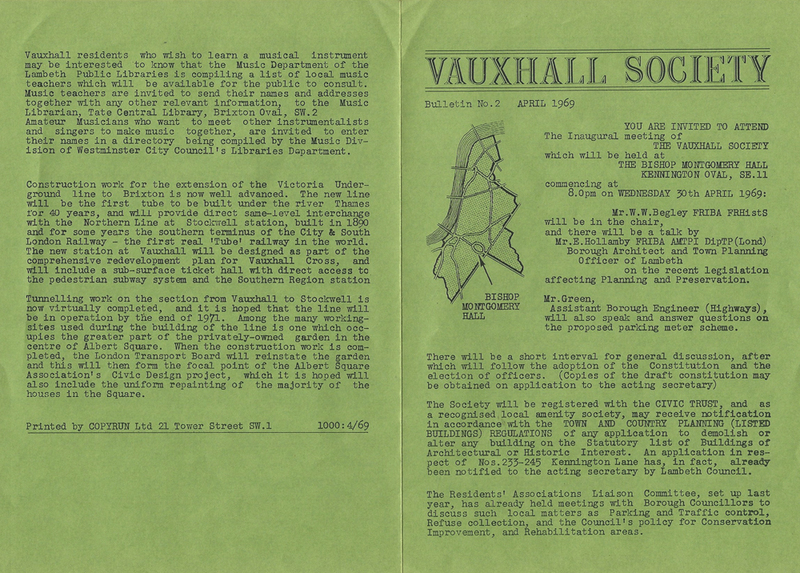 The Bulletin map of ‘Vauxhall’ reflects the ‘territories’ of the original ‘Vauxhall Society Seven’. Today’s TVS map is that of the parliamentary constituency of Vauxhall. 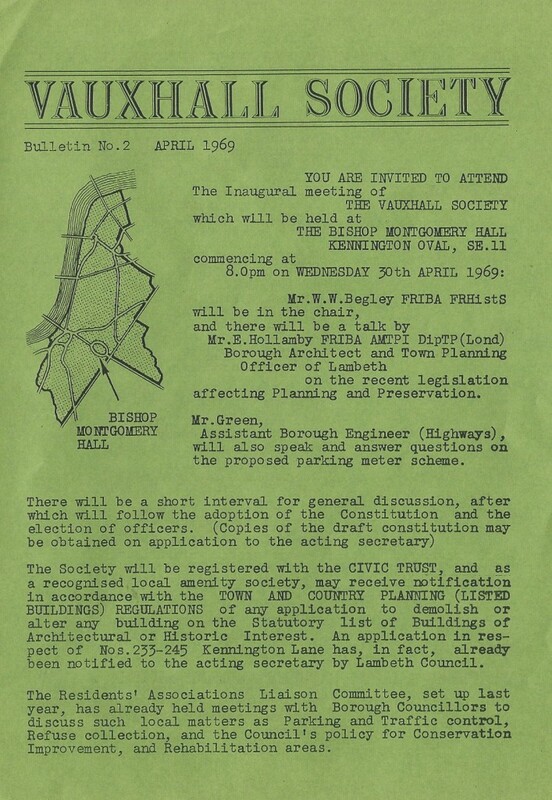 The Society’s general view is that, far from being an ‘intruder’, industry in various phases has created, despoiled and recreated the area, making industry as central to the history of Vauxhall as ‘planning, design and the arts’. 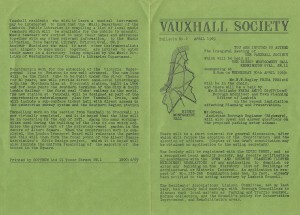 The Bulletin is a useful window on community activity in years past, so watch out for further editions on Vauxhall History.